As a sales professional, presentations are no doubt a big part of your job. However, many sales pros think about the what, but not the how of presentations. They know what they want to talk about in a sales presentation, but they don’t think about how to most effectively present to their audience. While you may know your topic and the solutions you’re trying to sell, are you also thinking about building rapport, establishing a connection with your audience, and conveying your ideas successfully so you can win business or at least pique interest to move towards next steps? When it comes to effective presentations, you need to look at both historical and modern techniques for being a persuasive speaker. 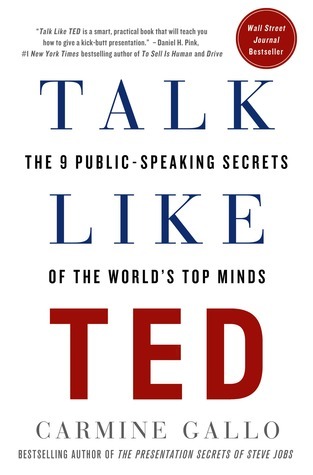 Bringing Aristotle’s principles into the 21st century, the book Talk Like TED by Carmine Gallo has put data behind Aristotle’s teaching by comparing and analyzing 500 leading TED Talks. Ten core principles of effective presentations emerged, which included ethos, pathos, and logos from Aristotle as well as new recommendations. 1) Ethos. Ethos is all about the credibility, character, and value of the presenter. Ethos is about establishing trust in your opinion so it’s viewed as credible and trustworthy by the audience. You can establish ethos by discussing your credentials and background in your presentation. Does the speaker have a doctorate or master’s degree? Do they have a lot of experience in the area they’re speaking about? Are they a published author? All of these things establish the credibility, or ethos, of the speaker. According to Talk Like TED, you should only spend about 10% of your presentation establishing ethos, so while it is a part of your presentation, it should definitely not be the focus. 2) Logos. Logos is all about logic. To build logos into your presentation, you should focus on facts, stats, and supporting data— the analytics to support the points and arguments you’re making in your presentation. Talk like TED recommends that 25% of your presentation should include logos. You want to make sure you have supporting data to lend more credibility to your statements, but it shouldn’t be the core focus. 3) Pathos. Pathos is about establishing an emotional connection with your audience. Are you a relatable individual? Do you have stories that evoke an emotional response? Typically the best way to evoke pathos is through storytelling. World-renowned speakers such as Tony Robbins and Steve Jobs have done an amazing job at creating pathos. Many successful speakers like them create pathos by talking about hardships they’ve overcome, such as an entrepreneur who went through a tough time and then succeeded afterwards; or they may tell a funny, embarrassing story that has a positive twist at the end. Basically, you need to tell stories that the audience can relate to, and build that emotional connection with you. TED Like TED recommends that 65% of your presentation should focus on pathos, so creating that emotional connection is the most important component of every presentation. In addition to Aristotle’s three elements of persuasive presentations, there are also other important considerations. 4) Timing. A lot of data states that the most effective presentations are between 15-20 minutes long. TED talks are 18 minutes long. That’s enough time for the presenter to create ethos, pathos, and logos without losing the audience. Anything longer than 20 minutes, and you risk the loss of emotional connection with your audience, and create frustration. 5) Only focus on 3 core points. If you focus on more than three core points, you’re potentially giving too much information, or you’re trying to cram too much information into in too little time for it to be effective. 6) Humor. The use of humor can help establish that emotional connection, and its biggest benefit is that it increases the audience’s positive perception of you. Humor keeps your presentation light, entertaining, and keeps people’s attention focused on you. 7) Use of Extreme Moments. You want to create a memorable experience for your audience, and they will remember the things that are extreme in your life. Extreme experiences are tied to memory, and the use of extreme moments, or shock factor, can be very powerful in terms of having your presentation remembered. 8) Presenting new information. This is important for sales pros, because in order for your presentation to be effective, you need to bring customers to an “a-ha” moment. When you change your audience’s perception about a challenge that exists and present new data and ideas to change their perception, typically a level of respect comes along with that as well, and your audience will see you as an expert, a valued source of information. 9) Body language must be in sync with your presentation. Your body language, slides, and content must all be in sync. If you’re presenting humorous material but have stagnant body language, it won’t be perceived well by your audience. Practice your presentation in front of a mirror so you can see your own body language and make sure it’s in tune with your content. 10) Use as many senses as possible. Scientific data says the more senses that are evoked within a presentation, the stronger it will be tied to memory. For example, if you’re just listening to a presentation, the synapses in your brain will weaker than if you are seeing, hearing, touching, etc. This is a big reason why many people don’t remember their dreams—dreams don’t have sensual perception that tie the experience to long-term memory. This is why you’ll sometimes remember a dream in your short-term memory, but then can’t remember it as the day goes on. These 10 tips will help you become a better presenter. If you want to hone your skills, I recommend joining your local Toastmasters group. Toastmasters is an international non-profit organization that has chapters in most major cities around the world. If you’re looking to increase your presentation skills, it’s a great place to go for a nominal fee, and you can go, choose from a set of topics or pick your own and present an idea to a group of peers to then receive feedback from peers and an experienced facilitator.